This ticket grants access to one (1) individual for Firaxicon 2015 in Baltimore, MD on October 3, 2015. By attending Firaxicon 2015, you consent to be filmed and/or photographed as part of our promotional filming during the event. Join us on October 3 at Firaxicon 2015! Last year, we put on the first official Firaxicon - an event celebrating Firaxis Games and its fans. We had so much fun we decided to do it again! We'll have more info on programming and events leading up to the event, so stay tuned! Firaxicon is a ticketed event, with tickets costing $40 (plus tax and fees). Tickets are only available online here, at Eventbrite. * Events are subject to change without notice, although we’ll try as hard as possible to ensure they’re as advertised. Tickets must be purchased in advance and will not be available at the door. Because of venue restrictions, tickets are limited in number. To ensure your place at Firaxicon, book your ticket now! Looking for lodging at the venue? Well, you can't sleep inside the Baltimore Convention Center (trust us, we asked) so read on for details on nearby hotels! Since being founded in 1996, Firaxis Games has produced many strategy game titles and gained millions of fans around the world. Firaxis and 2K would like to celebrate and thank our fans for years of dedication and support, give them a chance to meet the team and learn more about our games – and so Firaxicon was born. Where is Firaxicon taking place? Firaxicon will officially take place on Saturday, October 3, 2015 starting at 10am and ends that evening at 7pm. When should I arrive or depart so I don't miss anything? Firaxicon 2015 doesn't "officially" start until 10am, but registration will be open an hour prior, at 9am. We don't want anyone to miss out on a single second of Firaxicon 2015, so we've added this extra hour for attendees to arrive early and register before the show even starts. Official events end on Saturday night, but you're more than welcome to stay in Baltimore as long as you'd like before, or after, Firaxicon 2015. Why isn't Firaxicon happening at Firaxis Games itself? There simply isn't enough space for everyone. Plus, the Mechtoid that patrols the office doesn't like strangers, so for your own safety we thought it best to host the event downtown. Are there ID requirements or an age limit for Firaxicon? There is no age limit to attend Firaxicon, but for legal reasons all minors (under 18) must be accompanied by an adult. We will accommodate young children as best we can wherever possible. How do I get to Firaxicon? Firaxicon is happening at the Baltimore Convention Center in downtown Baltimore, Maryland. (Find it on Google Maps right here.) The Baltimore Convention Center is easily reached from BWI airport either by car, taxi or public transit. From BWI Airport: Take I-95 W towards MD-295 N to Baltimore-Washington Pkwy/Russell St in Baltimore. Continue on Baltimore-Washington Pkwy. Drive to W Pratt St. BCC will be on the right. From I-83 North: Take I-83 S towards Baltimore, Maryland. Follow signs toward Baltimore, Maryland. Then take E Lombard St to W Pratt St. BCC will be on the right. From BWI Airport, you may take the light rail service towards Baltimore, Maryland ($1.60 each way). Trains run Monday to Saturday, every 30 minutes. Exit at the Pratt Street Light Rail Station, then the BCC is a 2 minute walk to the east. 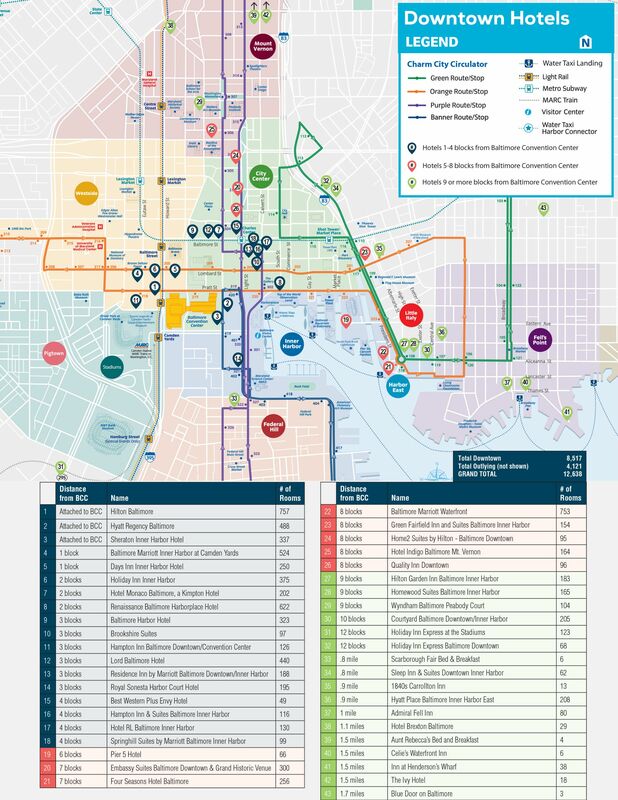 More information on the light rail service is here. Several parking garages are near the BCC. Hotels also offer valet services and parking options are varying costs. If you are staying overnight, call ahead and ask about your hotels rates. Will you provide food for attendees? What food options are there nearby? Unfortunately, we will not be able to provide food for Firaxicon 2015 attendees; however, the BCC is near several top-notch dining establishments. Baltimore, Maryland is also home to many dining options running the gamut from cheap foodstuffs to five-star establishments. We'd suggest doing a quick bit of Googling prior to arrival, just to get a sense for what's around. Packing your own meal(s) is also an option. How about food options are there near the venue? For more information on venues, consult this map of downtown Baltimore. What will I be able to do at Firaxicon? Meet members of the Firaxis Games development team, experience Civilization: Beyond Earth - Rising Tide and XCOM 2 prior to launch, play board games with fellow fans (and Firaxis devs!) and enjoy hours of panels about Firaxis Games! Plus, talk with astrophysicists from the home of the (Wonder of the World!) Hubble Space Telescope - the Space Telescope Science Institute her in Baltimore. Explore the night sky through the lens of Hubble and other NASA telescopes on a giant touchscreen! What will be covered in the panels? The final line-up of panels is still being determined, but we hope to give you insights into some of Firaxis Games' most well-known and beloved titles! We'll be announcing more details of all the panels in the weeks ahead. Will Sid Meier be present at Firaxicon? Yes! Sid will be present, and will attend Firaxicon 2015 on Saturday, October 3. Firaxis Games is a big team with many people who contribute to every game, and many will be present at Firaxicon. We look forward to meeting you! Can I get items signed by Firaxis Games staff? Yes! We will have multiple signing sessions throughout the show with members of the Firaxis Games team, including Sid Meier. To ensure we sign something for everyone, we ask that you bring a maximum of two items for signing. Yes! During the event you're free to take as many pictures as you'd like. You can even take video, if you'd so please. We just want you to have fun! I can't make it! Is there any way I can get involved online? For those who are unable to attend, but would still like to join in on the Firaxicon experience, GameSpot has partnered with 2K to be the official livestream partner for the event. Throughout the day, fans can look forward to viewing all-inclusive, online coverage of the Sid Meier, XCOM and Civilization panels via GameSpot.com. On the top right of the page, click the ‘Contact the Organizer’ button to send us an email. Join the team leads from XCOM 2 as they discuss how they designed XCOM 2 as a follow-up to XCOM: Enemy Unknown and XCOM: Enemy Within, and get a chance to see never before seen content. Since being founded in 1996, Firaxis Games has produced many strategy game titles and gained millions of fans around the world. 2K, founded in 2005, is a subsidiary of Take-Two Interactive.